Tenderness hidden behind a tough guy facade may explain why an immaculately handwritten love letter from the slugger Joe DiMaggio to Marilyn Monroe went for far more ($62,500) than any of the several typewritten love letters to her from the playwright Arthur Miller ($1,024 to $9,728). Miller had an easier time expressing his feelings, but his prolixity comes off, perhaps, as more annoying than enchanting. For context, one of Ms. Monroe’s brassieres went for $16,000. 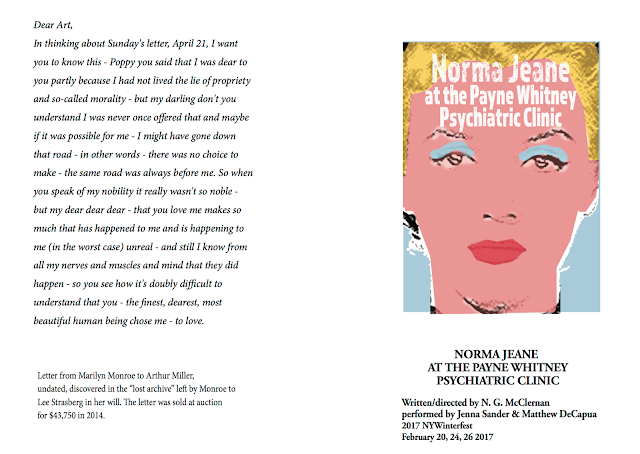 It should also be noted that a brief scrap of an undated love letter from Monroe to Miller fetched $43K - I mentioned that fact, along with the text of the letter, in the NORMA JEANE AT THE PAYNE WHITNEY PSYCHIATRIC CLINIC program. 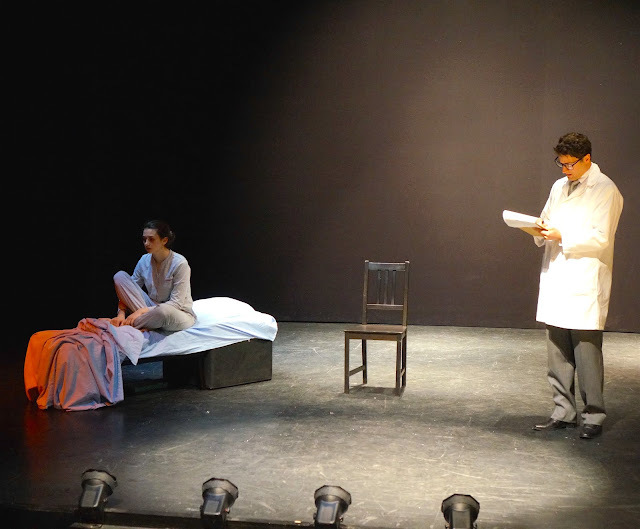 And while I'm at it, here's another photo from the production. Those are a couple of beautiful people.